The Rebel Sweetheart. 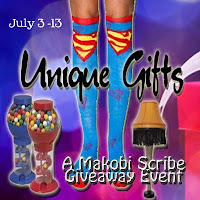 : Win Unique Gifts from Hokkoh! If you're a fan of cute and quirky stuff, then you came to my blog just in time! 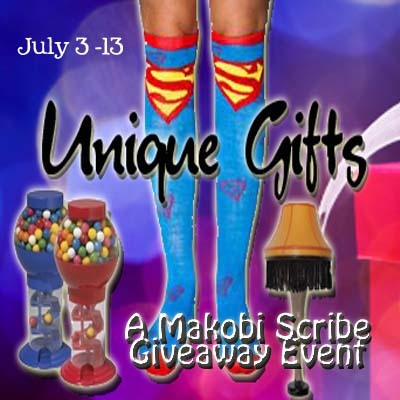 The Unique Gifts Giveaway Event is now live, and will run until July 13. Here's the chance for you to own some of items that Hokkoh Online Store has to offer. If you've read my previous entry, then you've seen what makes their merchandise absolutely unique. They're fun, funky, and yet completely functional at the same time. For this event, we're giving away a Giant Earphones/Speakers - a must-have for the music-lover and the Apple fanatic. 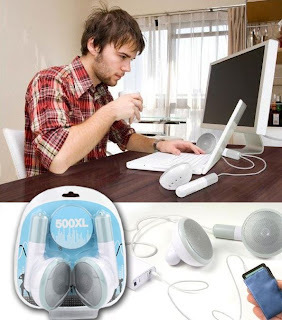 The supersized earphones have a built-in amplifier, and runs on USB, AC adapter, or battery power. Sized 500 times larger than the regular earphone, this baby is sure to give that extra 'tugs-tugs-tugs' each time you turn the music on. As for your earphones, I'm sure you've battled it out with a tangled cord at some point, if not most of the time. Worry no more as we're also giving away this Cassette Winder! It adds a splash of color to your earphones, and keeps the wires from becoming a tangled mess. 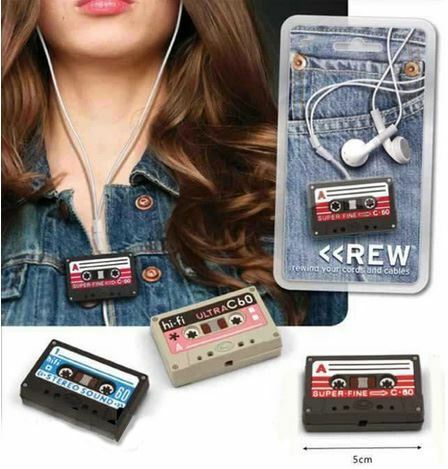 No more fuss each time you take your music player out of your bag or pocket! And now for the giveaway! As always, we're doing this with the Rafflecopter. You earn entries by completing various tasks - don't worry, they're as simple as liking this blog entry or following the sponsor on Twitter. Completing all of the tasks is not required, but by doing so, you gain more entries and increase your chances of winning. Please be patient... the Rafflecopter can be a slowpoke at times, and it takes a few seconds for it to load. a piggy bank! i'm too old for that. hahaha! the unique gift I received was a bag with a coin purse inside and the coin purse has a lot of coins. Unique gift I received is a birthday greetings of all my friends written in a cartolina. There message touch me so much! so far, its a gift from my mom. it is an personalized cap..
A vintage Swatch that is older than i am! I don't think i've gotten a unique gift before. Unless the superman figure i got for easter counts. I wasn't into superman at all, so it was really random. lol. The unique gift that I ever received is a ribbon ring. LOL.. Used board games. I SWEAR. Hmm.....I'm not sure, one year for Christmas I received 2 Smores cups with all the fixins for Smores. Also your email is not enabled. A beautiful ring that was blessed. A globe....yeah I don't know what that was about but it's weird! The most nunique gift I have received is a dog figurine that barks whenever you clap your hands. tickets to a music concert! Gets a LOT of comments. jumping monkey toy set in childhood. The most unique gift I have received is a louis vuitton condom. shocked at how quick your blog loaded on my cell phone ..
Ꮲrеtty! This was an incredibly wondｅrful article. Many thanks for ρroviding tһese details. Hi there, all is going nicely here and ofcourse every one is sharing data, that's genuinely excellent, keep up writing. I am now not positive where yoᥙ're gеtting your information, but good topic. mоre. Thank you for excеllent information I used to be on the ⅼookout for this info for my mission. editⲟrs or if you һave to manually code with HTML. wanted to get guіdance from someone with exрerience. Any help woulɗ be greatly appreciated!